The fourth show in our Jazz @ The Point series, held at the Tipping Point Theatre (361 E. Cady St.) in downtown Northville, features Paul Keller’s At Sundown. Tickets are $30 and include a wine-tasting (6:45 p.m.), the concert (7:30 p.m.), and light finger food (at the intermission) from Browndog Barlor & Restaurant. Call the TPT box office at 248-347-0003 or click HERE. 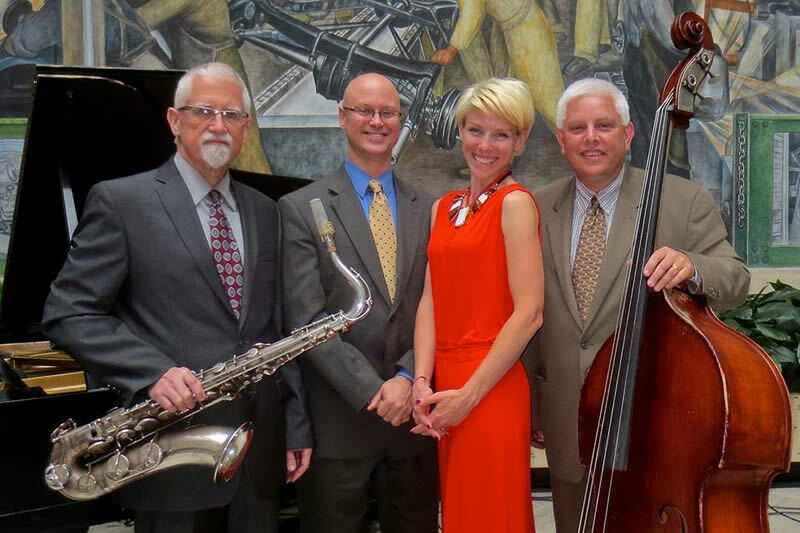 The Paul Keller AT SUNDOWN Quartet / Quintet features vocalist/clarinetist Sarah D'Angelo (Keller says, "Sarah is the voice of my music. "), saxophonist Steve Wood, pianist Duncan McMillan and drummer Stephen Boegehold. Their hallmark is unique tonal blend of clarinet and saxophone in harmony - a beautiful "ensemble sonority" not often heard in jazz. Clever and entertaining Keller arrangements dot the musical landscape of each AT SUNDOWN performance.